I’m a mighty woman of God, right? I have Victory through Christ, don’t I? I can do ALL things through Christ who gives me strength, can’t I? I took a good look at MY CLOSET! In my defense (and goodness knows I need one) I live in an area of unpredictable temperatures. And what about the Fashion Police? With Purpose on my mind, I promised to become More than a Conqueror over my Closet Beast. I blocked off my whole morning, made sure to eat, (I don’t make wise choices when I’m hungry) and had my rules in front of me. It has to fit RIGHT NOW. This is a broader (no pun intended) topic for another day, but #1 going forward to get control over the clutter. No judgement, embarrassment, or beating myself up about it. Fit or Doesn’t fit… Then move on! It has to work with my daily life. I took an honest assessment of the season I’m in. 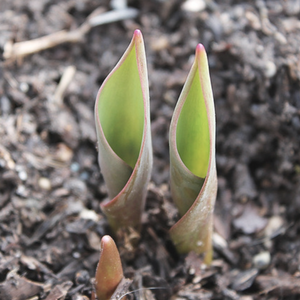 Beyond Winter, Spring, Summer or Fall. All you have to do is call. There was a time in my life when I was out among the people. These days, the only “dress to impress” I do is try not be on the “What she wore to Walmart” Hall of Shame. It has to be in good condition. The “formerly known as” white tank tops that I wear ALL THE TIME under sweaters. There’s not enough Oxy Clean to turn THAT train around. Socks, you USED to be fuzzy and comfy. Parting is such sweet sorrow. Hello Sweater with the mysterious stain that won’t come out. The only thing you’re good for is a homeschool biology experiment. As the NSYNC song goes, ” It ain’t no lie Baby Bye Bye Bye”. If I don’t love it, why is it in my closet causing me grief? I’m done with you taking up space in my life! I ONLY have 1 exception to this rule. If it follows the first 3 and is a wardrobe “staple” then it stays. A good example is a pair of jeans that fit and are in good condition, but I don’t love. Once I’m able to find/afford a replacement, the old pair goes away. Now, the clothes that fit the “rules” receive a rose. I go through all the items and ask 1 question. Do I have everything I need to wear this? The Colored denim that doesn’t match anything. The blouse I never wear because I need a camisole (do people use that word anymore) to go underneath. If the answer is NO, Don’t Worry! DO NOT… I REPEAT…DO NOT leave home WITHOUT the clothes you are trying to outfit. You will create the Groundhog Day of fashion if you leave them at home! Once you’ve gone through all your clothes, take some time to create outfits to help with those “too early to make choices” mornings. I have a “uniform” for myself. A sweater with leggings (of course), jeans/blouse/boots, denim shirt with khaki’s, and pajamas with blanket wrapped around me! Then I schedule my days according to how many clean (ish) pajamas and blanket outfits I have. A few years ago I even made a 5th Rule for when I’m out shopping. If I don’t understand it, I shouldn’t wear it! Is it a dress or a shirt? Which hole does my head go in? This rule will save you BUCKETS of money AND you won’t see your teenager’s eyes roll back in their head when you pick them up from school. 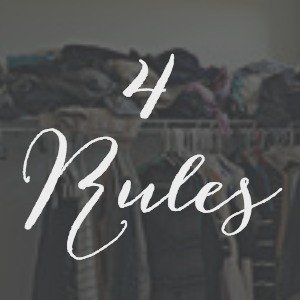 Now that you’re equipped with my 4 5 Rules, check out this great Mission Organization Challenge to inspire you on your journey to Tame YOUR Closet Beast! Make sure you tag me on Instagram with your closet pics…or your rule breaking #5 past purchases! You are More than Conquerers, friends! Loved this post. It’s perfect timing, changing from summer to fall/winter here while cellar gets new update, & clothes get a re-visit. Will get using your rules for sure.? The mission organization challenge is great, Sarah. I loved the transformation of Beth’s closet! 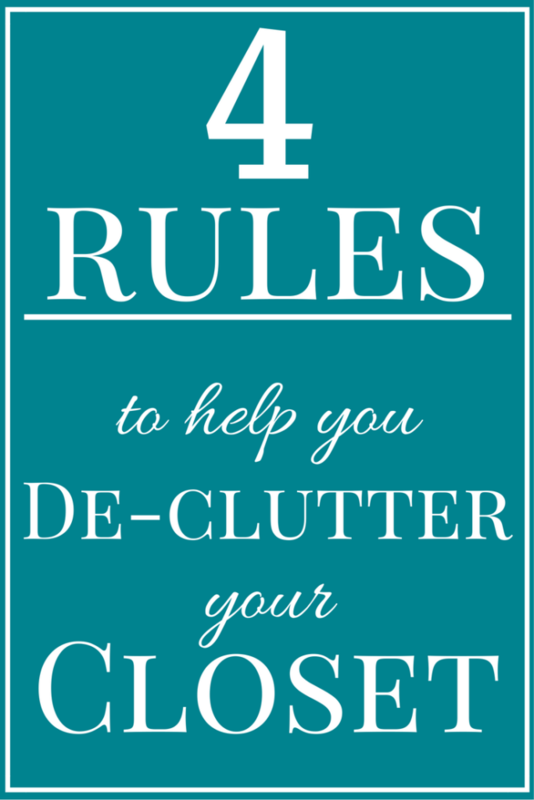 I look forward to hearing how your closet declutter goes. This is the perfect combination of wisdom and spit-the-coffee humor, good thing I already finished my coffee! Btw, if you enjoy people watching, you should come hang out in the Bluegrass around derby day, equipped with rule #5 and a discreet camera! You’ll see hats that defy description! Set the date, Beth and I’ll head your way! I would love to do some discreet people watching with you! “I have to love it” is the one I struggled with the most but getting better! “Have to Love it” is hard for me too, Sarah. I had a lot of clothes just because they fit even though I don’t like wearing them. Now I am very particular about what I buy so I don’t “waste” money on something that’s just ok.
Oh my gosh, do I struggle with #1 – in either direction! It’s too big? Well, I can sew it to fit better. It’s too small? Some day I’ll fit back into it! UGH, it’s such a struggle! I hear ya, Grady. At one point I packed up clothes I hoped to fit in and told myself if I couldn’t get into them by next season they were getting donated. I love your post!!! I have been doing exactly this… I can do ALL things… talk to clean out my closet… Yeah.. it has not happened lol! I will try again next weekend! Lmao!! on the Walmart hall of shame!!! Kemi, Thank you so much for reading! I literally set a day and blocked off time to work on my closet. I even saved an audio book to help get through the process. It felt good to see the end result! 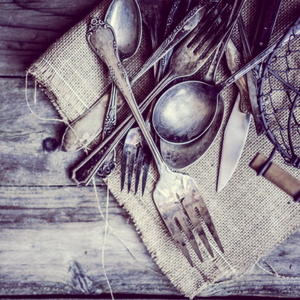 I’d love to hear how your decluttering goes! You can do ALL things!! Fit is a multi layered struggle for me, Terryn. One idea is to go through the steps differently. If you Love it, it’s in good condition, and it fits your lifestyle, pack it away for a specific amount of time and then revisit it. If you’re working to get back into clothes you love, it might be a good motivator to keep you on track. I’ve been going through my closet lately, and my rules are almost the same as yours! I only add is it comfortable/can i move in it, since i’ve held on to things that fit and that i love, but i have to fuss with them the entire time i’m wearing them. i’ve decided those aren’t worth my time. great post! That’s a great addition, Cindy. I hate fussy clothes! If it requires double stick tape to keep my “lady parts” concealed it’s NOT worth keeping! Thanks Denise! Too many steps and I’d give up and go eat cupcakes! Promise you’ll send me a pic of you in your closet wearing a wonder woman cape, Becky? I talked about wanting to be Wonder Woman’s body double on my About Me page. In fact,I would clear out my closet AGAIN JUST to wear the cape! When I read your post, I was thinking I really need to go through my closet and weed things out. 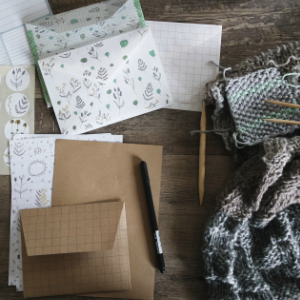 Thanks for all the tips that will make that project easier. You’re welcome, Sandy. 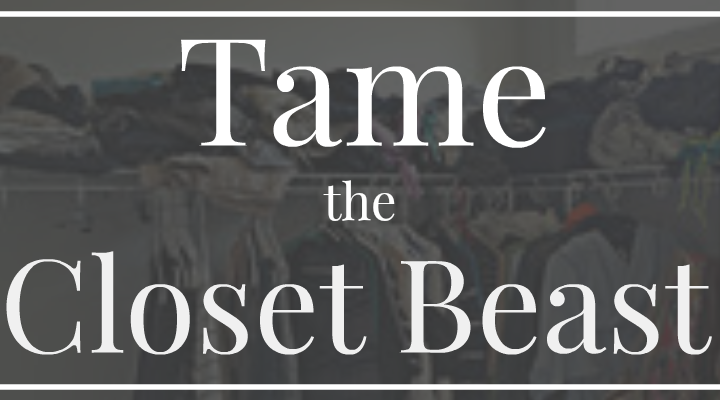 I wish you much success on Taming the Closet Beast. Oh boy! We are getting ready to move and I was just thinking I need to streamline my closet! I saw this at just the right time! Yeah! That thrills me to hear, Jayleen! We recently moved and I’m so happy I took steps to clear out the STUFF! I love this. Perfect timing for me since I’m doing my “spring cleaning” right now. Thanks for the laughs and tips! You’re welcome, Liv. Happy Spring Cleaning to you! Makes me think you’re mysterious…is this a code name? Are you a Secret Spy? Wait…don’t tell me! I cry and gag way to easy. And heights. Can you imagine that jumping out of a secret spy plane to save that world? I CAN picture it…and I’m Loving it! The world needs more crying, gagging, acrophobic spies! These are great rules! Rules I’m trying to live by as well. 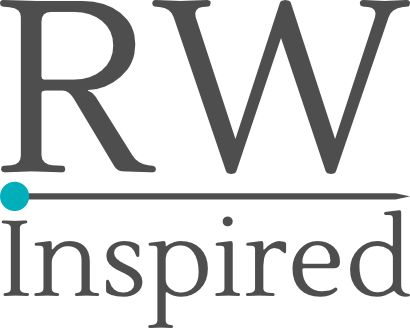 I’ve started a series on creating a capsule wardrobe and I’m really enjoying NOT thinking about my clothing! Angela, what a difference it makes when our options are only things that fit, are in good condition, and we love. I can hardly believe how much easier it it to get ready in the morning. I have a general capsule wardrobe, also. What a timesaver!